PIC BY IRENEUSZ IRASS WALEDZIK / CATERS NEWS - (PICTURED A bug in shutter shades) - RAP your eyes around these stunning shots of insects which look like mini KANYE WASPS wearing funky shades. 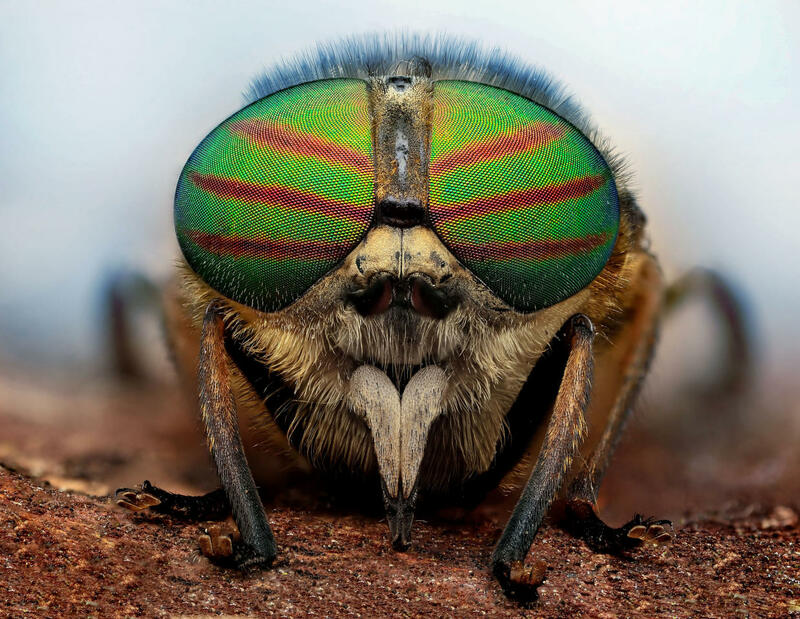 In the iconic music video for Stronger Kanye famously wore quirky shutter shades which he may have got inspiration from these insects it looks like. 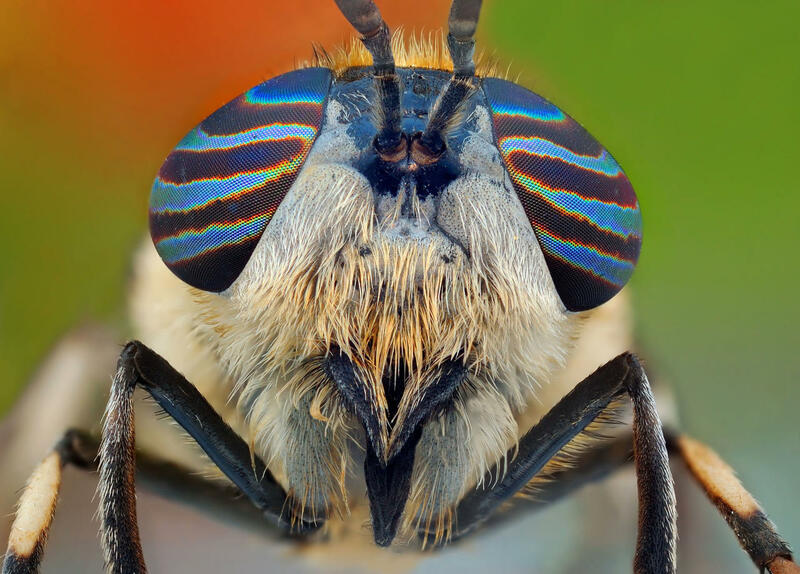 In incredible technicolour these wasps and flies have taken eyewear to another level with their prism-filled peepers. Photographer Ireneusz Irass Waldzik, 29, from Poland, used highly detailed macro photographer. SEE CATERS COPY. 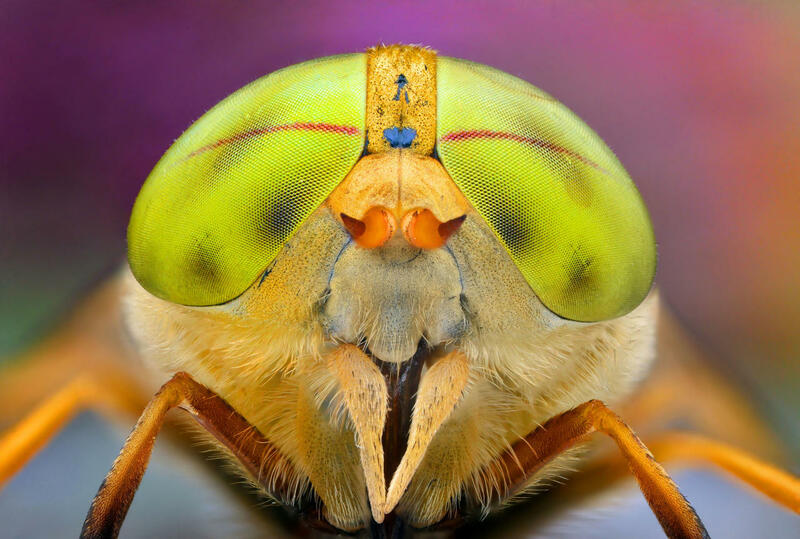 Wrap your eyes around these stunning shots of insects sporting what look like mini funky shades. Photographer Ireneusz Waldzik, who shot the highly detailed macro images, says: "I love macro photography, I spend a lot of time at it and the colors and different shapes of insects eyes fascinates me. It's important for them to show bright and colorful markings, they might be small but they have a big impact."